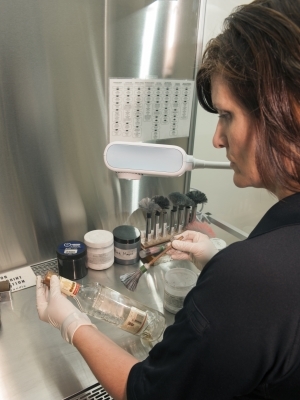 The Saskatoon Police Service Forensic Identification Section is mandated to capture and preserve evidence required for a criminal investigation. Such evidence may include fingerprints, photographs, scene diagrams and measurements and any exhibit item that may provide DNA from blood, hair or buccal (saliva) samples. Exhibits requiring more detailed examination - such as DNA extraction - are forwarded for specific testing to one of the many Forensic Crime Labs throughout Canada. This kind of work is frequently seen on any of the popular CSI type shows. DNA testing is done at provincial labs. Firearms analysis and gun shot residue testing, toxicology and biological tests are also done at these labs. Trained Identification members are also responsible for photographing injury victims, fingerprinting and photographing arrested persons pursuant to the 'Identification of Criminals Act', taking court-ordered DNA samples, verifying the identities of persons of interest, attending autopsies and testifying in court. In 2011, there were 8,000 persons fingerprinted for criminal matters, security checks or immigration purposes and members investigated a total of 2,650 files. 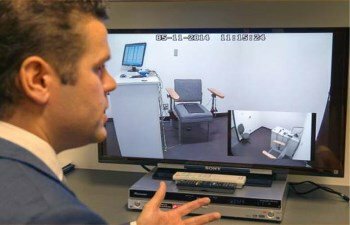 The Polygraph Unit is responsible for conducting forensic polygraph examinations (criminal), pre-employment examinations, and assisting members in the area of interviewing. There is currently one member assigned to the unit. The training to become a polygraphist is extensive and only offered at the Canadian Police College. The Polygraph course is the longest course offered at the Canadian Police College. Part of the selection process for new recruits is a pre-employment polygraph which is conducted prior to the final selection interview. Our polygraphists' workload is divided between Investigations and Human Resources. A Forensic Test will take 2-3 hours and a Pre-Employment test will take 3-5 hours. People require a Criminal Record Check for a number of reasons such as employment, fostering, volunteer or coaching positions, taxi licenses and Immigration or Pardon applications. Persons must apply in person with valid photo ID. The name and DOB are checked against a variety of databases in order to verify whether or not there is a criminal record in existence in Canada. Upon proof of identity, using fingerprints if necessary, a letter is provided which details any such record. There is no mandated length of time that determines whether or not a Criminal Record Check is still valid. It is up to each employer/agency as to if or when a new Criminal Record Check is needed. 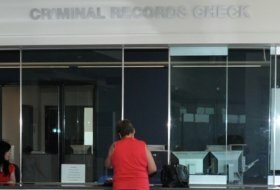 In 2011 there were over 21,000 Criminal Record Checks completed. This office is also responsible for preparing summary letters of investigative files for insurance companies etc.